I don’t care what business it is – success is founding on the choices you make. There are no short cuts or easy ways to finding success, rather success is founded on fundamental principles applied consistently through your life choices. As a business ethics speaker, I know from personal experience what it takes to create the outcomes you desire. That said, part of what I do is focus a spotlight on unethical behavior, scams and/or frauds. I cannot say that what I am reporting on here is a scam, but there are too many issues arising related to the speaking business coming out of little Sevierville, TN to be coincidence. So today I receive this email that offers me (I’m sure this offer has been made to thousands of speakers) a chance to co-author a book with Deepak Chopra and Ken Blanchard – both of whom I respect and neither of whom I know personally. 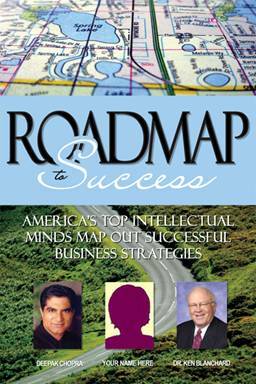 1 chapter left in our book project Roadmap to Success with chapters by Deepak Chopra and Ken Blanchard. You have been pre-selected to be a co-author, as our research department has recognized you as an expert strategist. We will focus on topics that are necessary for success in your business and or personal life. There will be 15 chapters total in the book. Please see below some topic suggestions. The book will contain principles and topics applying to everyday lives and careers. Our authors find it easier for their books to be reviewed. Opportunities for media coverage are also greatly increased. Imagine your ideas and your story appearing in newspapers and magazines! Imagine yourself on talk radio! You gain maximum exposure, reinforce your credentials, and build credibility. It also represents real value for your audience. Your investment in this project is your inventory of books which depending on your package has an ROI of more than $16,000. No interest payment plans are also available. Hum … I can write “my” chapter and have it included along with others with my picture on the cover with Deepak and Ken – making it look like I was “chicken eatin buddies” with these masters. The only cost to me is a mere approximately $3.5 to $5.5 cost per book. Looks to me like it is a way to sell books masquerading as co-authorship – when in reality Chopra and Blanchard have no clue (at least I think that is true) who they are lending their name to as co-authors. To move forward give me a call in the office or email to discuss, prime chapter placement available. Hope you have a great day! *If you are interested in building your brand/marketing and this title does not fit you. I am also looking for authors in our book project Bootstrap Business with Tom Hopkins, Jack Canfield and John Christensen. Doors open faster when you walk in with someone famous! A Division of The Innovator’s Group, Inc.
Let me be clear … I am an advocate of self-publishing! The publishing world is being turned upside down and twisted all around with the advent of easy self-publishing, printing on demand and, of course, the elephant in the room – the ebook. So my question does not center around authors being self published – not at all – rather, the question relates to the method of piggybacking on the names of individuals who you have no contact with – don’t know you or your content – and yet seem to find that the collection approach is a way to use their good name to promote yours. First there are two firms that represent themselves as Speaker Services companies, both of whom have questionable reputations and have had complaints lodged against them. Now, another speaker services company emerges in the same little town. Sorry, but something smells fishy here. Is what is being offered here ethical? IF you are a client of Insight Publishing and wish to offer your comments good or bad – we welcome your thoughts. I cannot express a direct opinion from experience, but would sure like to hear from others. As always – YOUR COMMENTS ARE WELCOME! I guess there are times when, in the writing of a blog, you hit a nerve. Yesterday, after much research, I wrote a blog about Willow Mist Professional Services in TN and Brenda Keefer – the company’s owner (at least that’s what I’ve been told). The response has been overwhelming. It seems that Miss Brenda has been active and the reports from speakers internationally has been – well – let’s put it this way…there’s screaming and gnashing of teeth over how Motivational Speakers have been scammed. The article yesterday is here. Sometimes our past and our experience create the path for a future that is outstanding. As a business ethics and fraud prevention speaker, I am keenly aware of the choices we make and the consequences that follow. 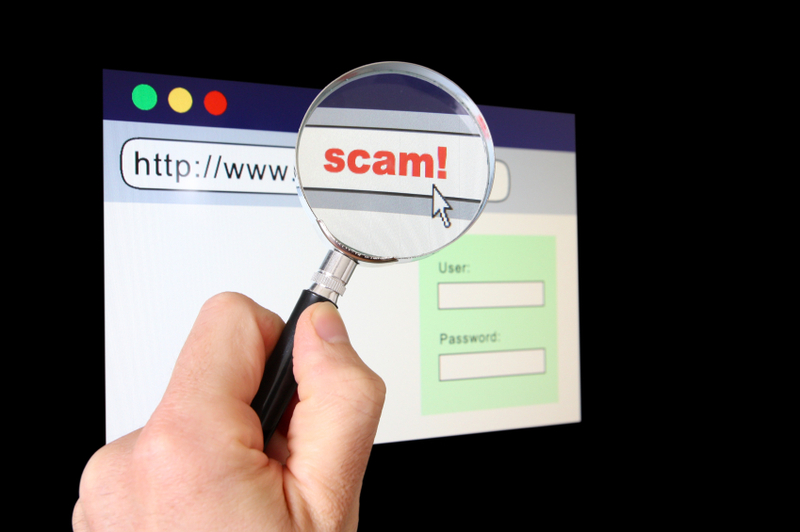 In the case of Brenda Keefer and Willow Mist Professional Services – there are far too many speakers who are now coming out of the woodwork stating that they, too, have been scammed to ignore the problem. Every choice has a consequence. Based on what I see and hear from my experience and the experience of others, it would be worth investigating thoroughly whether the services offered by Brenda Keefer and Willow Mist are valuable or just a way to scam unsuspecting folks out of money. The brush stroke of fraud and deception seems to be pervasive in Sevierville, TN. Not only is Willow Mist Professional Services located there, but another “speakers bureau” or “speaker services” company is there too. Their name: Internation Speakers Network or ISN Works – a division of The Innovators Group, Inc. I received an unsolicited email from them with a CALL FOR SPEAKERS. I was about to trash it or mark it as spam when it caught my eye that they were located in Sevierville, TN. I thought it strange that two companies that “market” speakers would be located in that small town. My first thought was that it was Willow Mist or Brenda Keefer repackaged. However, after calling ISNWorks and talking to their representative, I found that they were quick to point out that they once were the employer of Brenda Keefer, but that she had been let go for “unethical business practices”. Soon after the Brenda Keefer discussion the conversation returned to what they could offer me as a speaker. The International Speakers Network convinces you they can help speakers market their speaking services, and charges a lot of money to develop mailings, sell sheets, and other marketing materials. But they don’t actually perform any of the marketing services speakers pay them for. yes, they will print materials, but they take a lot of money to distribute those materials which are never distributed. They have several names like ISN, Book a Speaker. net, Innovators Group and others. Learn more about them at http://burnedbyisn.blogspot.com/ You’ll see that they have a horrible track record with the Better Business Bureau, too. While not all of the comments related to ISN were bad – there were certainly enough there to cause one to wonder what’s in the water there in Sevierville that causes two firms, both doing the same thing, to have such poor reputations. Buyer beware. If you have had an experience with Willow Mist and/or Brenda Keefer or ISN Works – how about doing us a favor and submitting a comment. 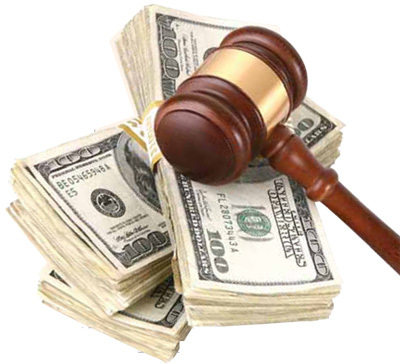 Brenda Keefer and Willow Mist Professional Speaker Services – Business Ethics gone South or just a plain ole Scam? I recall my uncle one time telling me as we were sitting in a boat fishing, “Son, sometimes you just have to call them as you see them.” I honestly don’t recall what we were talking about and frankly, at the time, I don’t recall connecting with the true meaning of his words. But today they ring true… Sometimes you just have to call them as you see them. Let me be clear to those who read… as an Ethics speaker and Fraud Prevention Expert, I often hear of circumstances – perhaps questionable in nature – and, from time to time, find it helpful to research further. Rarely do I find that I have personal experience with the firm or organization. In the case of Willow Mist and Brenda Keefer – unfortunately I do and it appears that I’m not the only one. On November 6, 2008, I received an email from Brenda Keefer – apparent owner and operator of Willow Mist Professional Services welcoming me to her fold. Her initial pitch was that she (through her firm) offered speakers (Motivational speakers, etc.) direct marketing services thereby helping those she represents increase their bookings. For those services, speakers (such as myself) or perhaps (in retrospect) I should label myself as a “sucker” – would pay her a nominal fee up front and she would take us on as clients representing that she had limited clients (unlike traditional speakers bureaus). After the payment was received by Brenda Keefer – NOTHING HAPPENED. I mean I got no calls, no indication that I was being marketed, NOTHING. I followed up with several emails but (as one might expect) NO RESPONSE. In fact, I called and finally got Brenda on the phone. She seemed confused about who I was and our relationship (I guess that’s obvious as we had no relationship other than her taking my money). When confronted about my payment she said she’d have to look into it, at which time I provided her information about my canceled check. I am not writing this because of my experience. To me that would be unfair and perhaps bring my ethics into question. Rather, let’s look at the facts and then perhaps the light of truth will shine brightly on Willow Mist and Brenda Keefer. Today I am the Chief Operating Officer for a private national company and a professional public speaker sharing insight into ethical behavior and fraud prevention. I feel that sharing my past helps those who read know who I am and where I am coming from. That said, when I talked with Brenda Keefer with Willow Mist I found out that she and I have something in common. We are both CONVICTED FELONS (nothing by the way that I’m proud of – but our past is our past). When I shared my background with Brenda she was willing then to share her’s with me. According to her, I was an example of how someone with a “sorted past” can make different choices and turn their lives around. Frankly, I did agree. I think from that conversation I found a level of trust that now, in retrospect, was unfounded. Some people learn nothing from past experiences and it would seem, in this case, that Brenda may be challenged with dealing with ghosts from the past in her present day dealings in business. And, that give all folks, who may have made bad past choices – a bad name. But, as I said, this isn’t about me. Several weeks ago in the email blast – SpeakerNetNews I spotted something submitted from another speaker – asking about Brenda Keefer and Willow Mist Professional Services. Since it had been almost two year, frankly I had put Brenda and Willow Mist out of my mind. But the question jogged my memory and brought me back to my experience with Willow Mist. I emailed and asked what the issue(s) were and was told that it related to payments not paid from Willow Mist to speakers and payments to Willow Mist for services not delivered. More importantly, I was told that the response from the inquiry regarding Brenda Keefer and Willow Mist was somewhat overwhelming. Is the operation of Willow Mist Professional Services with Brenda Keefer at the helm a SCAM? Is it that Brenda is INCAPABLE of providing what she promises? Have lessons from past unethical and illegal actions been learned or is this nothing more than a repeat of past prior performances? I don’t know the answers to these questions. What I do know is this – if one takes money from another and promises to perform services and then fails to perform – even in the face of repeated questions and requests for performance – there is a good chance that doing business with such a firm is not only UNWISE, but from outward appearances it would appear that UNETHICAL ACTIONS or a SCAM is being perpetrated. As a final note, it appears that Brenda Keefer worked for ISN Works doing essentially the same service for them before setting up here own business in the same town. From what I understand, she is not connected with ISN Works and perhaps her departure uncovered similar actions (unethical) that has left ISN Works with a mess to clean up. This is a weekly round up of some of the best business ethics articles, reports and blogs that I’ve seen. Feel free to click on the links provided, take a look and offer comments here. The discussion that follows is useful to those who routinely come here for business ethics news and reports. This article plays an interesting theme that I am focusing in on as a business ethics speaker and blogger. What role does the business school take when it comes to business ethics education? Is business ethics a topic or course description or are ethics larger and part of a comprehensive education that is woven into the fabric of business disciplines taught in both graduate and undergraduate education? The article is an interesting read. My question, however, focuses on why just advanced degrees. It seems to me to assume that business leaders must have advanced degrees in order to become leaders. I’m not sure I agree with that, but take a look and feel free to offer comments. Should business ethics be more than a course offered to business students? Another link to a business ethics university related posting can be seen here. Now one might wonder what tourism bookings information might have to do with a business ethics blog? Consider Haiti. Many have criticized cruise ship companies when they continue to offer vacation bookings to Haiti and their neighbor – the Dominican Republic. Chris MacDonald, a business ethics professor at Saint Mary’s University in Halifax, said travellers to either nation on the island of Hispaniola should not be deterred from their plans — unless logistics make scheduled trips impossible — because these struggling nations need tourism dollars. Perhaps the luxury and opulence that folks think about when it comes to the cruise industry is, in fact, a positive ethical behavior when it comes to pumping money into the area and providing sustenance for folks who need an economic foundation. It is incredible what innovations the internet has created. One is the blog. It wasn’t that long ago that I didn’t have a clue what a blog was, but less the power it wielded. Of course, as a business ethics blogger and speaker, I am aware of the simple, yet powerful, use of the pen and open publishing that blogging provides. This article is cool, in that, it expands the discussion of blogging and ‘financial affiliations’ in the open world of the internet. The discussion is interesting and this is worth a read! Your comments, of course, are welcome. I must admit, as a speaking professional , I enjoy presentations to University students. First, they are open to exploring ideas and generally eager to explore what is put before them. Their questions are wide open and that makes the presentation fun. But, more important, from my perspective, if a life can be changed early in a young career, then I will have paid it forward. That inspires me! I was privileged to speak to business students at the University of Florida and no long there after a young student wrote the following in the Greenback University blog. His article (printed below) is a reflection of the presentation I made the reaction from the perspective of a student participant. Gallagher’s words to UF students rang true as he discussed the turbulence of his life in the past ten years. Formerly a successful CPA and instructor, Gallagher was sentenced to federal prison for embezzling over $254,000 in a Ponzi scheme that later he reflected was a life-changing experience. How might he be this week’s success profile? Simple. Gallagher’s story reflects a momentous ability to turn the tables after a horrific downfall. On October 2, 1995, Gallagher took what he calls his “twenty-three steps” to federal prison, losing his CPA license, his relationship with his wife, and his colleagues’ trust. Gallagher’s life before his arrest for embezzlement can be said to be a success, built on the motivation to become educated and rise from the lower class. He took that lesson to heart, becoming the youngest tax partner in a CPA firm at age twenty-six. One day while Gallagher was teaching a tax course in Boise, he noticed a note on his door from his partner asking him to call the office. During the break in between lectures, he called back. One of the clients had had an emergency. “I need the money,” his partner said. Gallagher was quiet on stage, expressing the silent hysteria he felt in that moment almost twenty years ago. Gallagher went on to explain his experiences in prison and his interactions and friendships with the other inmates. “I was paid twelve cents an hour. I would get up at 6:00 and clean toilets and urinals,” he explained. I appreciate the report, but more importantly I am thankful for the opportunity I have to share with students in both the US and Canada. It’s funny, but in a presentation at another University a professor asked me, “What theory of ‘ethics’ do you follow?” I pondered the question for a moment and then replied. “I follow the theory of ethical choices that keeps you out of prison.” Somehow that response seemed to stiffle the professor, but was incredibly well received by the students. I guess when you get down to it, my job is to influence the students! Here’s the link to the Greenback University blog. As a business ethics speaker and author, as you can imagine, I work daily to keep up with what’s happening. My wife asked me the other day, “well…how do you share that?” It dawned on me, I don’t – except in my presentations and more formal writings. So – from that simple question was birthed the idea of a daily roundup. Here goes…and I hope it helps. Aerospace and Defense Industry Commit to New Global Principals of Ethical Conduct – The first International Forum on Business Ethical Conduct for the Aerospace and Defence Industry (IFBEC) took place today in Berlin. The forum strengthened exchange between industrial, institutional and state players within these key sectors, encouraging them to participate in the development of fair competition rules. It demonstrated the commitment of the aerospace and defence industry to business ethics. Full story here. Scrutiny of White Collar Crime Grows – About 25 embezzlers met their downfall last year in Greater Cincinnati and Northern Kentucky, particularly in Butler County, when they were busted in cases totaling $2.2 million – a record-high for the county, officials believe. Full story here. Should ‘The Office’ Be Used In HR Training? (this is a really cool story) – The Office, a comedy about a jumble of oddball workers trying to get along in a claustrophobic environment, is a phenomenon of our times, a period when the American workforce is more diverse than it has ever been. The question is – should this quirky comedy be used to illustrate sensitive points when doing HR training? Full story here. The Foreign Corrupt Practices Act: An Overview – Corruption poses a significant legal and economic risk for corporations doing business around the world, particularly in developing and transitioning countries. Because of this increased enforcement activity, managers and directors who run multinational corporations are rightfully concerned about their compliance efforts. Full story here. More to come tomorrow. Meanwhile, for more ethics information and discussion – join me on Facebook – link here. 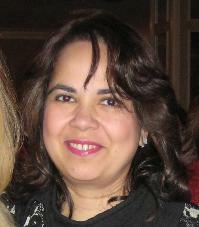 Sujata Sachdeva, Koss Corporation Vice President of Finance Arrested for Embezzlement and Fired! As the year and decade draw to a close the news of unethical activity just keeps on coming. And…as a business ethics speaker who studies ethics and ethical trends, I don’t see any end to these type of reports. Whether we have a robust economy or an economic crisis, it seems that the personal motivation for money (or what it represents) outweighs the simple ethical choices that should be made daily. Sujata Sachdeva, vice president of finance at Koss since 1992, was charged with wire fraud, said Assistant U.S. Attorney Matthew Jacobs, prosecutor in the case. She appeared in federal courtand was released on an unsecured bond, Jacobs said. The maker of stereo headphones said in a brief statement that the request to halt trading followed its discovery of “unauthorized transactions” and fired Sachdeva following the discovery of unauthorized financial transactions. Sachdeva served as the company’s Principal Accounting Officer. Also, two members of the company’s accounting staff who served under Sachdeva were placed on unpaid administrative leave. 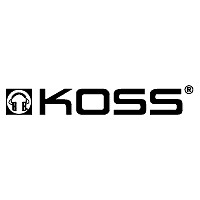 The firm said its board has appointed a special committee of independent directors to internally investigate the transactions and determine their effect, if any, on Koss’ financial statements. Preliminary estimates indicate that the amount of unauthorized transactions since fiscal year 2006 through the present may exceed $20 million. According to a Forbes report – Sachdeva’s income was slightly in excess of $170,000 per year. Whenever there is such a high profile ethics breech and fraud the question that is often asked is why? What would cause someone, who otherwise knows better, to do such a thing? Much as I hate to admit it…that question was asked of me many years ago when my fraud scheme came to light. And like Sachdeva…I, too, lived an illusory life style. According to published reports, Sachdeva reportedly used much of the money to purchase luxury items, and was ballsy enough to often leave her price-tagged clothes casually strewn about her office. When confronted by authorities, Sachdeva confessed, saying she covered up her two years of embezzlement by falsifying company financial statements. Ouch… I can speak from experience, the comfort that she might have enjoyed from her high flying lifestyle bring no lasting joy when facing the reality of prison – a place she is most certainly headed. 2. Do you believe that others were involved in the fraudulent cover up associated with Sachdeva’s scheme? As always…YOUR COMMENTS ARE WELCOME.